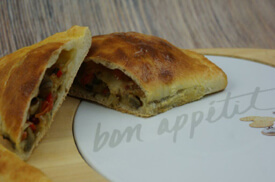 This calzone is better than pizza and easier to make! You can also mix and match the ingredients to your liking so it’s customized to your own taste. This class also includes instruction for Stuffed Artichoke Bottom with Crab Meat.